Normally when you plan a trip in your RV you conduct some type of pre-trip checks to make sure the RV is properly prepared for travel. When it’s time to leave the campground you perform these checks again for the return trip. But what happens when you find that perfect campground or RV Park and stay put for extended periods of time? Do you conduct routine maintenance checks on the RV to make sure it is in a safe and operable condition while it’s parked? Most likely you do, but if not here are some extended-stay maintenance checks to consider performing. Inflate the tires to the manufacturer’s recommended pressure. Tires can lose as much as 2 to 3 psi a month. If you stay in one spot for three or six months the tire pressure could be dangerously low. If the unit is not being moved check and adjust the tire pressure on a monthly basis. Ozone in the air and UV rays from the sun shorten the life of your RV tires. Ozone causes tires to dry rot and deteriorate and UV rays make it happen quicker. This is especially true of the tires sidewall. You should inspect your tires periodically for any checking or cracks in the tire sidewalls. If you notice any damage, have the tires inspected by a professional before using the RV. Tire failure on an RV can be extremely dangerous and can cause costly damage to the RV. Keep the tires covered with covers that block out the sunlight when the RV is sitting in one spot or not in use. Place some type of RV leveling blocks between the ground and the tires. Be sure that whatever you use is larger than the footprint of the tire. No portion of the tire should hang over the edge of the tire block. This can cause internal damage to the tire. There are actually several reasons for blocking tires. First is to make sure the RV is as level as possible so more weight isn’t on one tire than the others. Storage surface areas can cause your tires to age prematurely. You don’t want to leave the tires in contact to any heat producing material or petroleum based material like asphalt for long periods of time. You also don’t want them exposed to constant cold or moisture, like sitting on the frozen ground. The wood or blocking acts as a barrier between the tires and the ground surface they are being stored on. If it’s a motorized RV you should fill the fuel tank prior to parking it for a long stay and add a fuel stabilizer. Run the engine and the generator long enough for the fuel stabilizer to get through the fuel system. If you are not using the generator you should exercise it monthly with a minimum of a ½ rated load on it. Consult your generator set owner’s manual for rated loads. Check and fill the water levels in all batteries and make sure the batteries stay fully charged. The electrolyte levels in batteries will be depleted through long term use. Check the water levels once or twice a week depending on usage. Many RV converter chargers provide a constant charge of about 13.5 volts which is too high for fully charged batteries and the electrolyte is boiled off, resulting in an early death for the batteries. You can use a digital voltmeter to measure voltage and get a quick picture of the batteries depth of discharge. A fully charged battery should read about 12.7 volts. Don’t check the voltage when the RV is plugged in, you will get a false reading. For a true reading of the batteries they should be tested after resting for 12 hours. Resting means the battery is disconnected from any charger or any load for at least 12 hours. Change the oil and oil filter on the engine and the generator prior to long stays or long term storage. Acids accumulate in used oil and can corrode engine bearings. Routinely test the operation of the carbon monoxide detector, LP gas leak detector and smoke alarm. Check the fire extinguisher monthly to make sure it is fully charged. Clean or replace air conditioner filters as required. 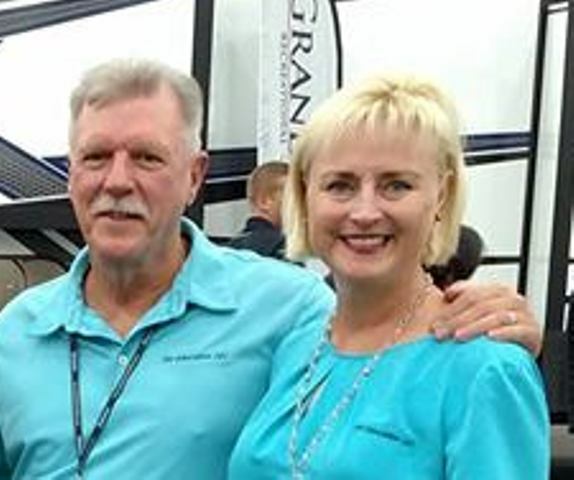 Before moving the RV, after extended- stays or storage, check all fluid levels in the transmission, power steering, engine coolant, engine oil, windshield washer and brakes. Consult your vehicle owner’s manual for proper levels. Start the engine and check for proper readings on all gauges. Check the condition of windshield wiper blades and replace them if necessary. Check the operation of all chassis lights. Make sure the vehicle emissions / inspection sticker is up to date. Complete your normal pre-trip checks before heading out on the road again. I realize there are many other items that could be added to this list, but this is a good starting point. You can tailor this list to your own personal needs. 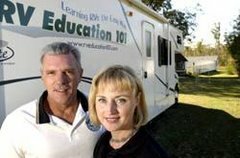 For more great information on maintaining your RV check out our RV Care & maintenance DVD.